Summer break is quickly approaching, now is the perfect time to plan your summer getaway to Virginia Bea ch! Virginia Beach has the perfect blend of family fun and adult activities. Fishing is a great family activity to try this summer. 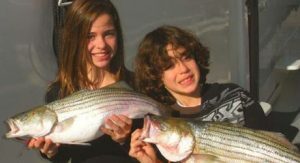 Whether it is your first time, or you are an experienced angler it will be fun for the whole family! Taking your family on an interactive trip can build your already existing bonds and create a long-lasting memory. Fishing is a great way to unplug from electronics and really engage with nature in a meaningful way. Without phones and tablets in the way you will have the opportunity to truly enjoy the company of your family without distractions. According to the Department of Game & Inland Fisheries fishing is a great way to relieve stress. Being near water can help lower anxiety and make you feel more relaxed. Fishing is also a great form of exercise. Instead of lifting weights at the gym, cast your fishing rod into the Atlantic! 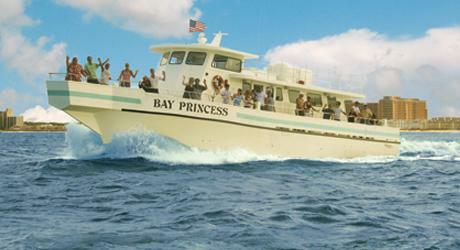 At Dockside Seafood & Fishing Center we include bait and tackle to make your fishing trip as easy as possible. We cater to all anglers no matter the skill level so don’t be nervous if you are a fist time fisher! With veteran guides to help you along the way fishing can be a breeze. After you reel in your catch of the day, you can visit our waterfront restaurant where we will prepare your fish while you relax at a waterside table. Remember when planning a fishing trip to prepare for the elements. To ensure that you are prepared for your day out on the water consider packing your supplies. Save money on your next fishing trip! Use our Dockside Seafood & Fishing Center coupon!